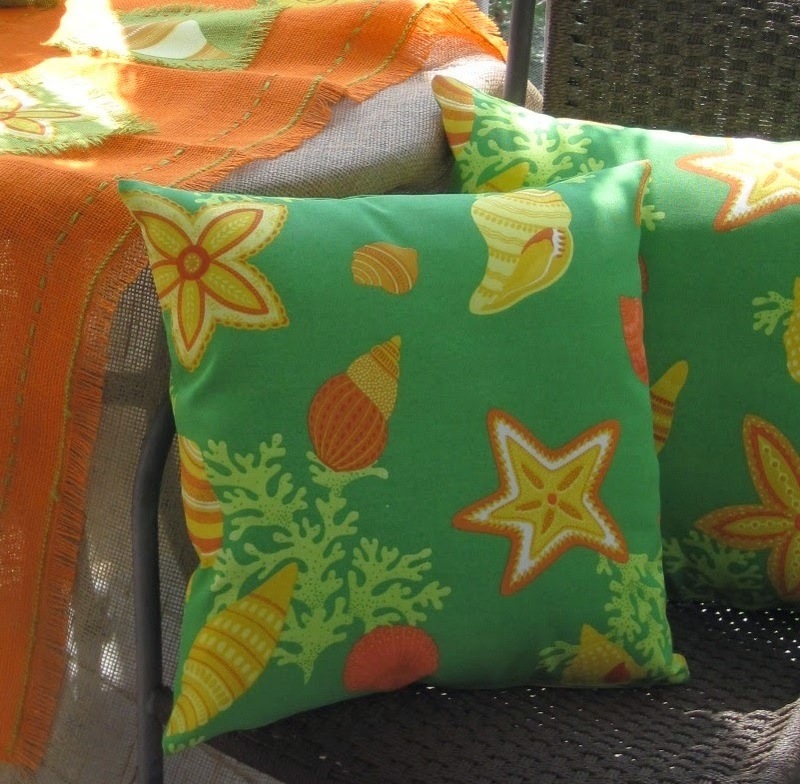 I got this wonderful citrus colored fabric, Robert Allen's Beach Bongo, for making a couple of pillow covers. 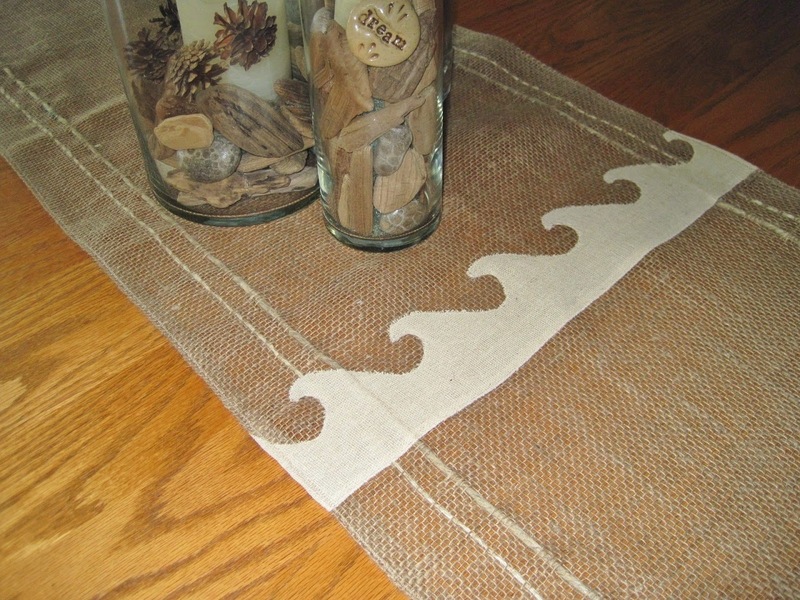 This is an indoor/outdoor fabric, which I love. 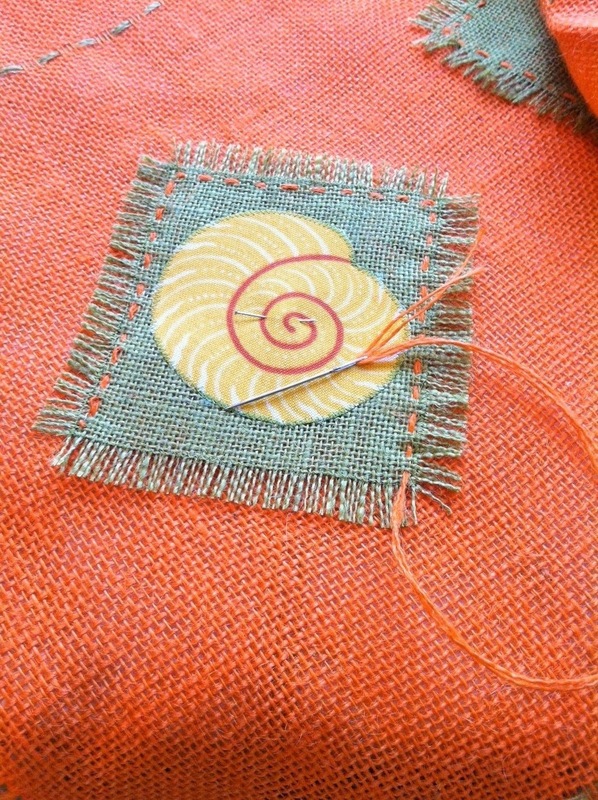 After I cut my pillows out I noticed I had a chunk of fabric left over that had some of the seashells on it. 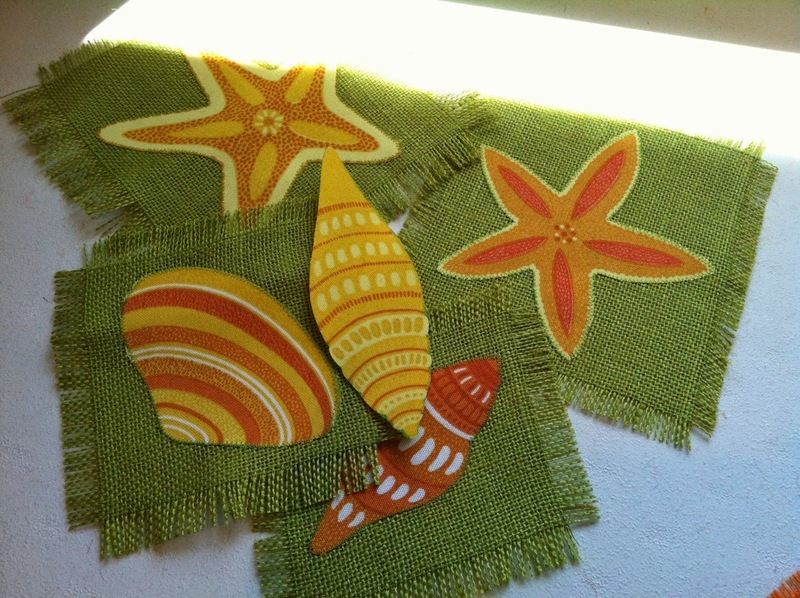 I decided to cut the seashells out and make them into appliques, which I then stitched on to pieces of bright green burlap. Well, now what. I thought about sewing them on to pillows, but I already had pillows. 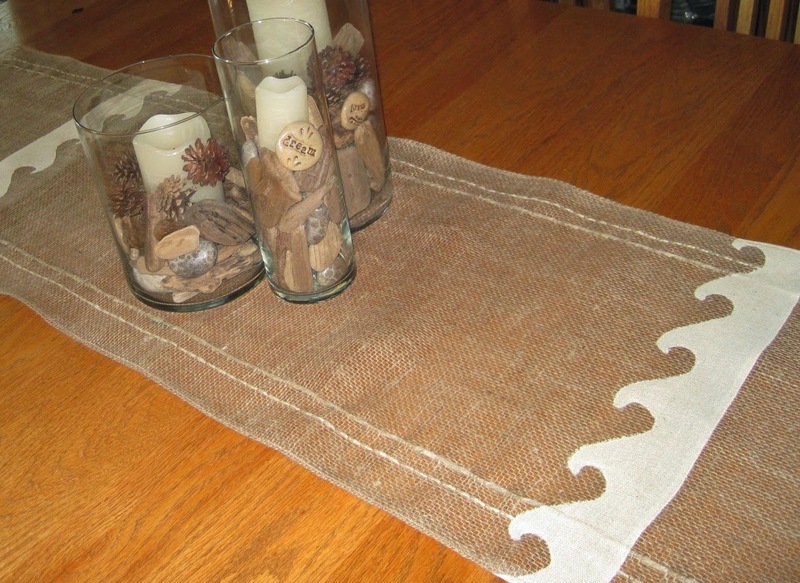 What about a runner that could be thrown over an outdoor table that would look great with the pillows tossed on to accompanying chairs. I just happened to have enough bright orange burlap. What luck! 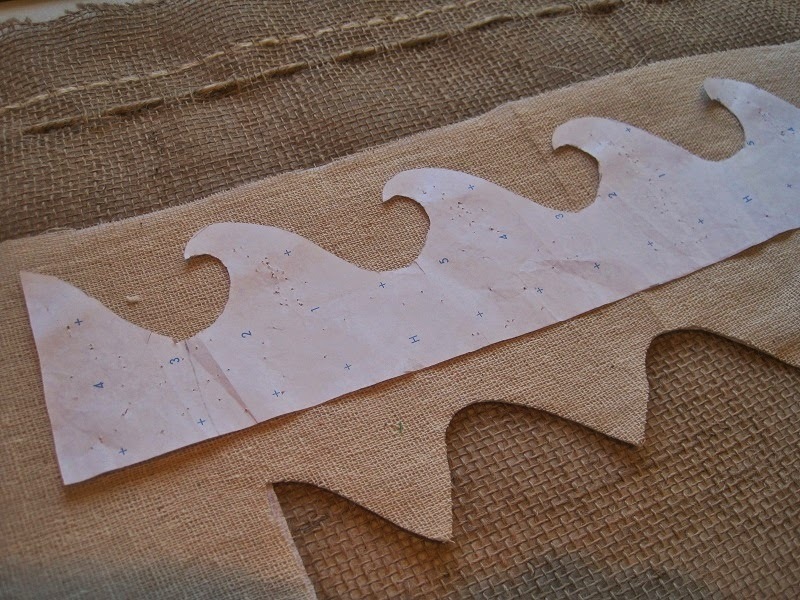 I cut the runner, and placed the appliques when I realized I didn't have any orange thread. 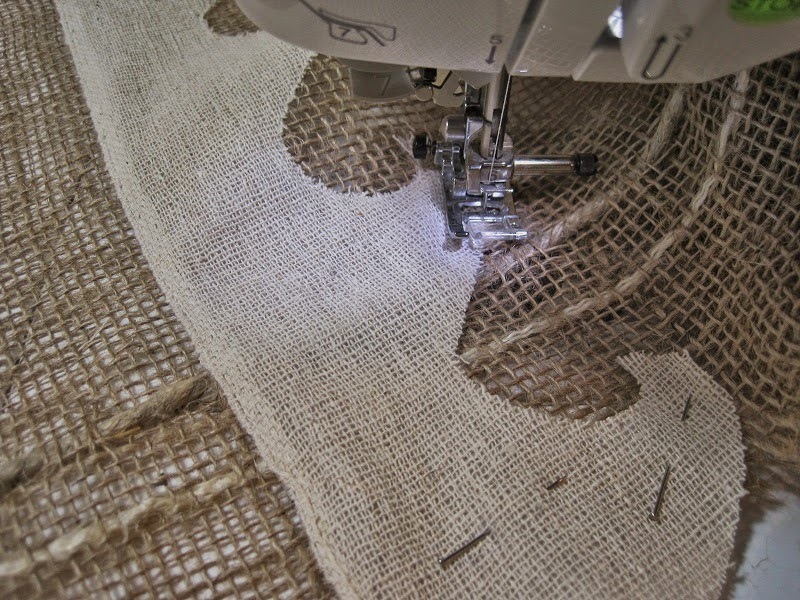 I didn't want to sew the appliques on to the runner and be able to see a different color thread on the backside. 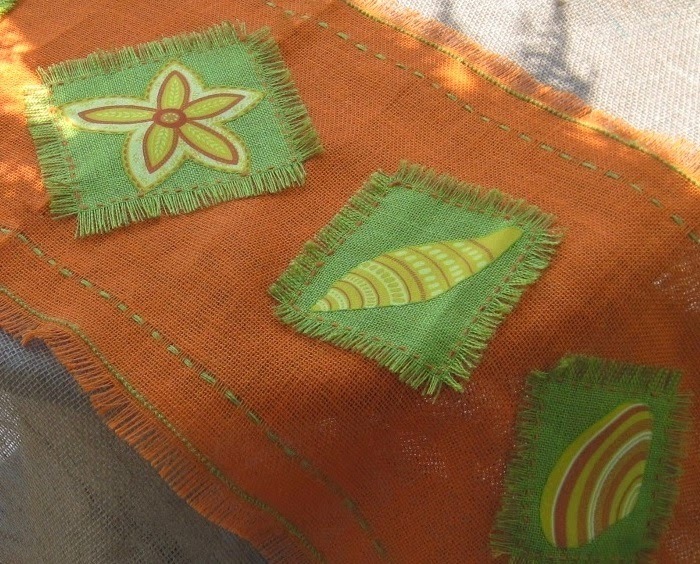 Here's where the lazy part kicks in -- I was too lazy to drive to the fabric store to buy orange thread, so I decided I'd sew the appliques on by hand using strands of the orange burlap. 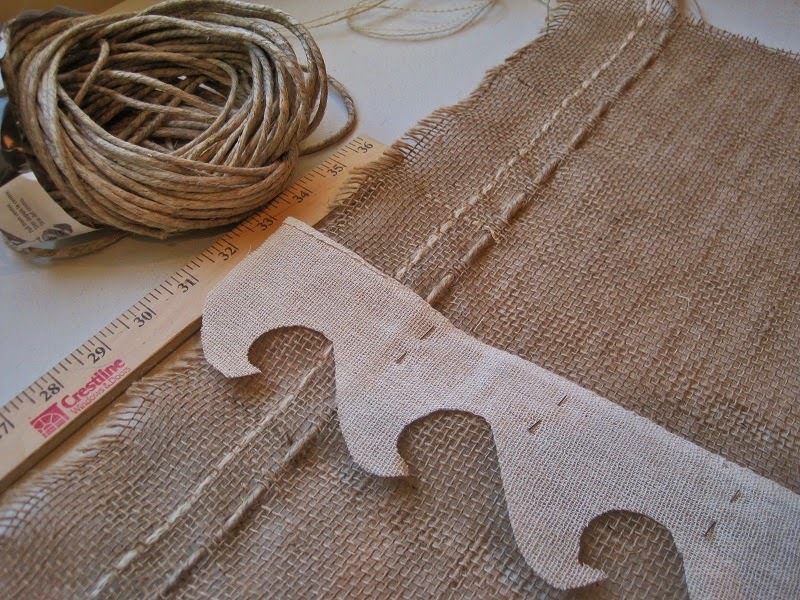 Liking the look of this, I then wove some of the green burlap threads along both long sides to frame the appliques. 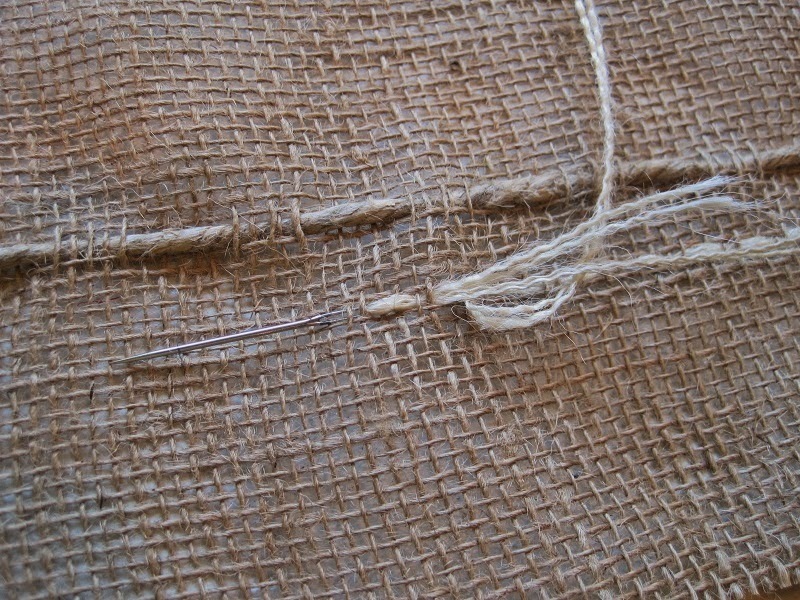 But now I had to figure out how I was going to 'lock' the long edges so they would not fray. This is normally where I would have sewn them by machine, but again, no orange thread. Well, I remembered my cross-stitching from years ago and decided this was going to be the solution. I love the look, but the problem with cross-stitching is that IT TAKES SO DARN LONG TO DO! Oh well, as I mentioned, I was too lazy to drive to the fabric store to buy orange thread...so that's how this particular runner was designed.